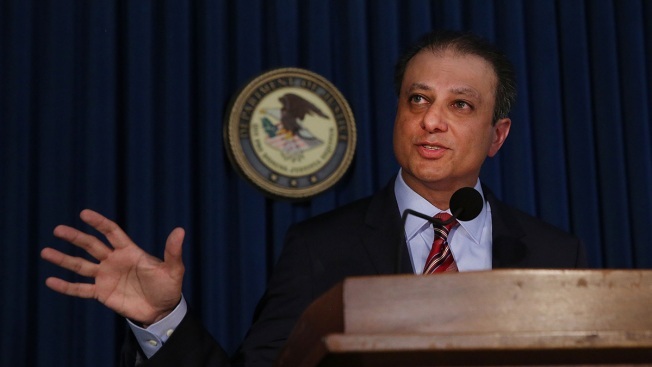 This September 17, 2015, file photo shows former U.S. Attorney Preet Bharara. Preet Bharara, the former U.S. attorney for the Southern District of New York, explained in an interview Sunday with CBS's "Face the Nation" why he thinks his old office might be a bigger threat to President Donald Trump than special counsel Robert Mueller is, NBC News reports. Promoting his new book, "Doing Justice," Bharara said that Manhattan federal prosecutors are unencumbered by the restraints put on Mueller, saying the office "doesn't have the same circumscription on its ambit that the special counsel does." "The special counsel was appointed under a particular regulation and was supposed to look at only things relating to interference in the election and 'collusion' with Russians in connection with the election and anything arising from it, one of which was obstruction," he said. It was investigators in the Southern District of New York who prosecuted Trump's former longtime attorney Michael Cohen for a litany of crimes. The office is currently probing the Trump Organization and Trump's inaugural committee, and Cohen said in public testimony on Capitol Hill last month that he was still providing those prosecutors with assistance in their various investigations.